Two of the strongest fighters in comics are about to clash and I have the tale of the tape to tell us the victor. Abilities: Super strength, regeneration, minor magic incantations, fire-proof, indestructible right hand of doom. Skills: Dabbles in magic, skilled with a sword, sloppy with a gun but shoots really big bullets. previous victories: Has taken down numerous monsters and villains and has even told Satan to screw off. Weaknesses: A strict sense of morality that limits him from unleashing his true power, doesn’t listen well. unique characteristics: Sanded down horns, bright red skin, giant stone hand, and hoofed feet. Intergalactic Bounty hunter with no inhibitions and a bad attitude. Abilities: Super strength, Regeneration, can track anyone down even through space, has a smart space cycle that can follow his commands. Skills: Trained in all kinds of street fighting, very skilled with a gun and a hooked chain. Previous Victories: has taken down Superman and most of the JLA more than once, killed Santa, and Told God to Frag off. Weaknesses: A soft spot for space dolphins and waitresses, not good against magic. Unique Characteristics: Snow white skin, black markings on face and crazy awesome hair. So Who wins? 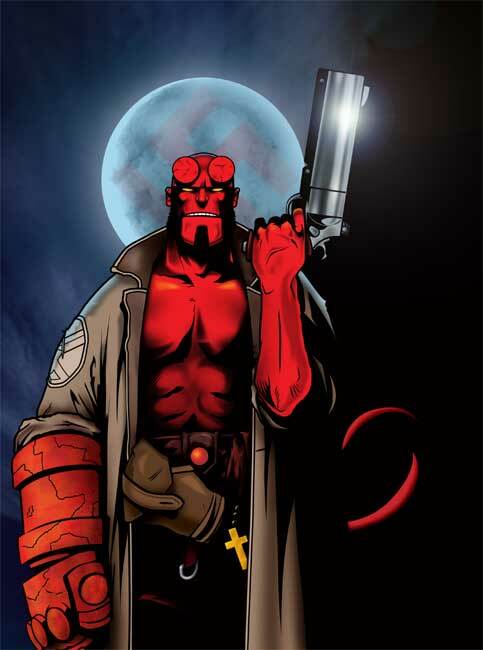 thats a good question, With Hellboys knowledge of magic and Lobo’s weakness to magic Hellboy has the upper Right Hand of Doom,(See what I did there). 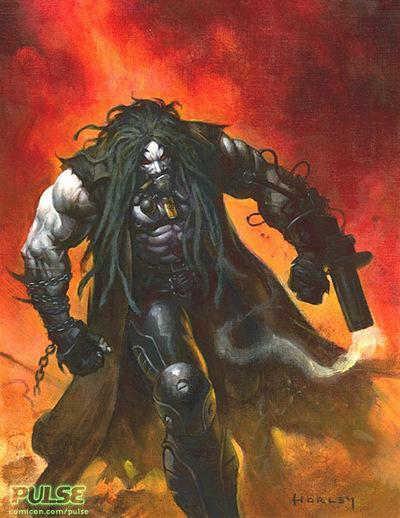 Lobo has no quells with killing what he thinks is a demon so he will go completely crazy on him which gives him the advantage over the morally conscious Hellboy . so in the end I had to choose between these two epic characters and I chose the one with more heart. 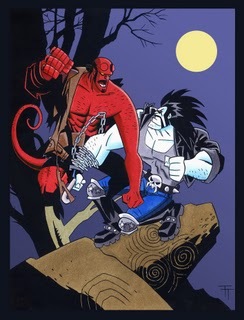 Tagged Hellboy, last one standing, lobo.